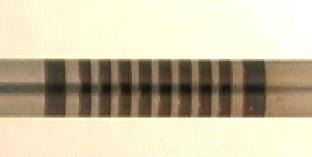 2D Data Matrix TM codes are made up of two parts: the finder pattern that tells the reader the code orientation and array size, and the actual encoded data. If you’re getting no read or a marginal read, you may have an issue with one these read factors. 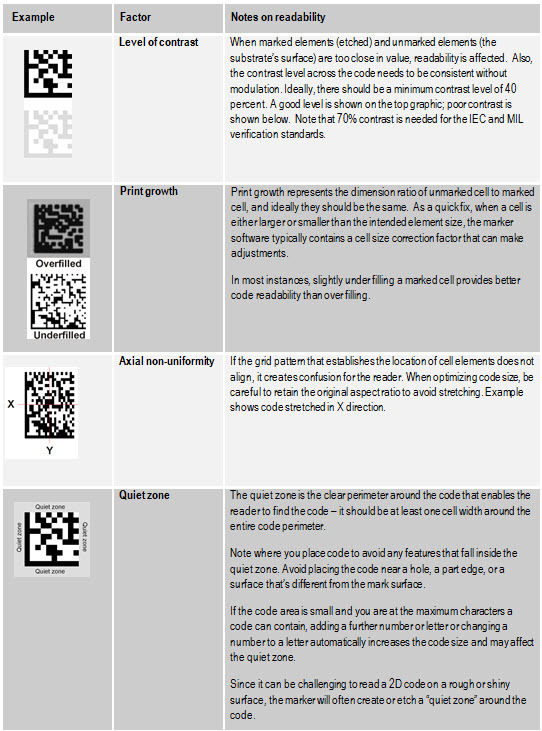 It’s also worth noting that the quality (and price) of the reader can have a significant effect – particularly on small codes, and codes marked on shiny surfaces. 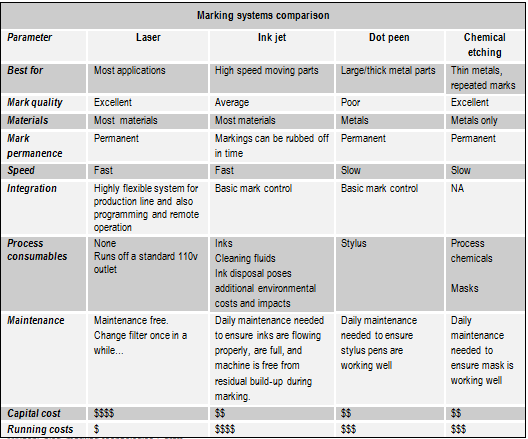 Not long ago, I discussed some of the factors you should consider when deciding which marking technology to use: material type, part function, geometry, surface finish/roughness, coating, mark quality, mark dimension/part size, and serialization - all play a part in this process. 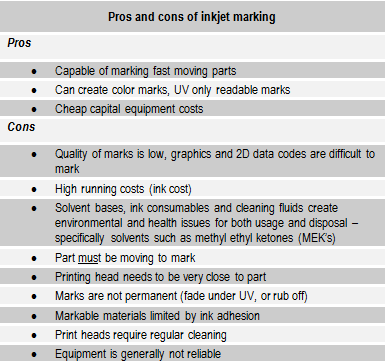 Today’s post digs a bit deeper into selecting the right marking technology for your specific application by looking at a concise listing of the pros and cons of each of the major marking technologies: inkjet, dot peen, chemical etching, and laser marking. 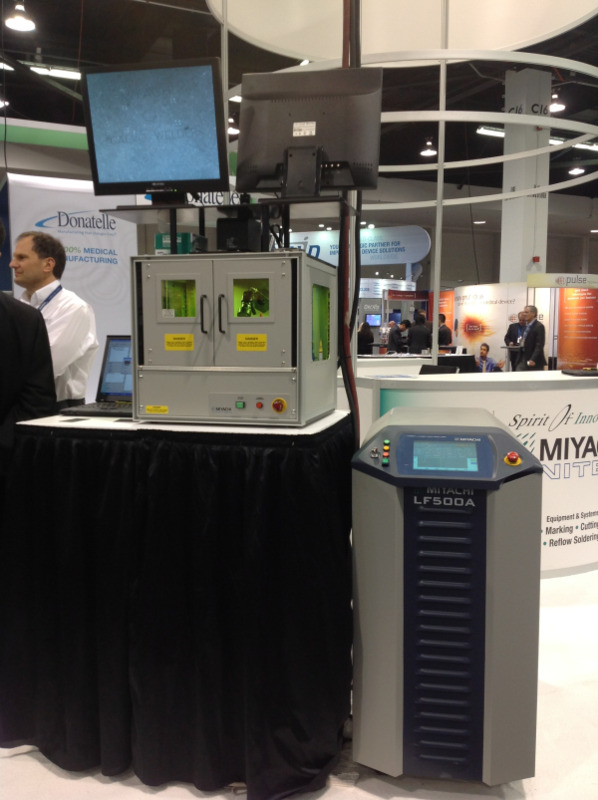 Product traceability over its complete lifecycle is one of the key issues driving marking technology today. Manufacturers are looking for cradle-to-grave traceability to improve product quality and make sure all their suppliers fall in line with quality standards. Oh, and let’s not forget they also want to make it easier and less costly to engage in product recalls. Laser marking is rapidly replacing older product marking technology, especially for direct marking applications which aid in tracking and traceability. From medical devices to automotive and aerospace parts, part information is showing up everywhere, either in the form of human readable alphanumerics and barcodes or Data-Matrix™ codes. Laser marking is a fast, clean marking technology, which also has benefits like flexible automation, improved environmental profile, and low cost of ownership. There are a few different technologies out there - and the “best” one for your application depends on the kind of mark you’re trying to make, and the material you’re using. Laser marking is a great way to produce dark marks on stainless steels; by precisely controlling the laser and heat input, you can get an oxide layer to build up on the part, which, in turn, produces the characteristic appearance without melting the material. 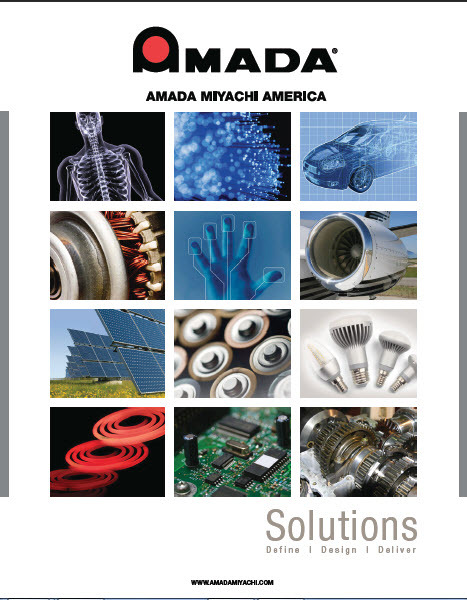 Want to guarantee successful laser marking on anodized aluminum? Follow these four simple tips.